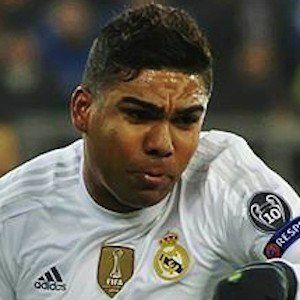 Carlos Henrique José Francisco Venâncio Casimiro, otherwise known by his nickname Casemiro, is a professional defensive midfielder recognized for playing with the Spanish club Real Madrid. He has also played with the Brazilian national youth and senior teams. He began his youth soccer career in 2002 as a member of the Sao Paolo football club. It was there that he made his senior debut in 2010. In 2014, he played in a season-long loan with the Portuguese team FC Porto. He has two sisters named Magda and Bianca. His wife, Anna Mariana, is a makeup artist. He has played alongside fellow Real Madrid teammate and captain Sergio Ramos.